Do you want to do business with the City of Charlotte and/or Mecklenburg County, but don’t know where to begin? You’ve come to the right place! We’re Charlotte Business Resources, after all. 1. The City of Charlotte and Mecklenburg County are not the same. They’re two different governing bodies, with two different policies, which means there might be different processes entrepreneurs must take to work with each. 2. If you want to do business with Mecklenburg County, your small business needs to have a tax ID number, a name, an EIN number or social, an email address, a checking account, and a routing number. 3. Make sure you’re certified as a business with the City of Charlotte. (Note that being a vendor and being certified are not the same thing.) You have to be in business for at least a year to obtain certification as an SBE with the City. 4. Certification does not guarantee you a contract with the City or the County. 5. Certification with the City of Charlotte is good for three years, at which point you will have to re-certify if you still meet the eligibility requirements. 6. Certified vendors with the City of Charlotte have access to opportunities and networking that they might not otherwise. They can also access loan programs specifically designed for SBEs. 7. Both the City and County are dedicated to inclusion programs, like the County’s Minority, Women and Small Business Enterprise Program and the City’s Charlotte Business Inclusion Program. 8. 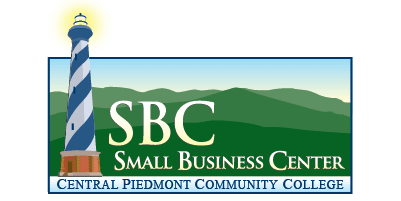 Both the City and the County are dedicated to creating and implementing strategies to support and encourage small business growth and development. 9. The City of Charlotte offers several networking opportunities for businesses that allow businesses, buyers and vendors to connect. 10. The City of Charlotte and Mecklenburg County partner on several projects, including the Crowns of Enterprise Awards. If you’re more of a listener than a reader, we have two podcasts on the topic (here and here). If you have any more questions, please send them our way on Twitter @CBRbiz.